Elaine Karen Deluxe Reversible Recliner Furniture Protector, Coffee/Tan 80"x 70"
NWT Surefit Sofa Slipcover 2 PIECE Stretch Rib Sage Green - Madison Stripe. 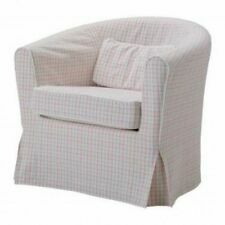 Slipcovers are an affordable and versatile solution to protecting your chairs, sofas, and other upholstered pieces and even making easy style and colour changes. They are available in a wide selection of fabrics and styles, either covering the parts most susceptible to wear or slipping over the entire usable surface. 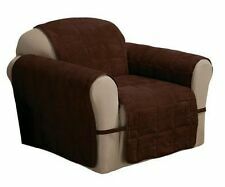 Removable and washable, they are a practical choice for people wanting to preserve their original upholstery. What kinds of furniture will a slipcover accommodate? 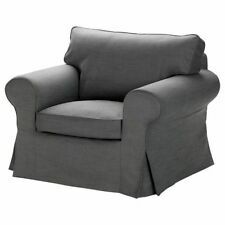 Many different kinds may benefit from the use of a slipcover. Upholstery or cushions are most commonly covered, but sometimes all wood pieces with no fabric or cushion may be covered. They may be readily available at the store or you may have to provide measurements to have them custom made. Some don't cover the furniture entirely and only cover a portion of the chair, couch, or loveseat. These will lay over the parts that receive the heaviest use, such as armrests and seat cushions on your couch. How do you select the right slipcovers? With a little preparation, finding the right ones for your needs is easy and will make shopping expedient. Measure: Measure each dimension to be sure you select one that will fit. Don't forget about armrests and the backs of sofas and loveseats. 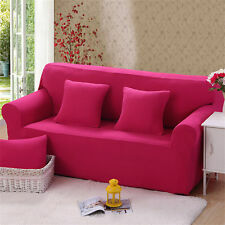 Stretchy material will be more forgiving whereas slipcovers that are designed to fit snugly require very precise measurements. Consider your existing interior decor when selecting fabrics and colours. If you are trying to achieve a specific look for a special event or holiday season, keep in mind the other decorative elements you would like to use. You may even want to ask to see fabric swatches if you aren't certain. Decide what kind you would like. 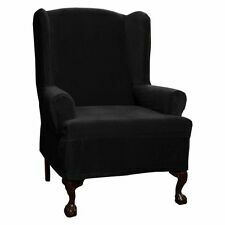 Slipcovers that are custom-made or made by the companies that manufacture the furniture will fit in such a way that the piece will appear brand new and fitted with actual upholstery. You can also get them to fit over furniture with the help of elastic, buttons, or fabric tie backs. 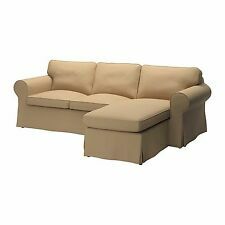 Think about how heavily used the furniture is and whether or not you want to be able to easily wash the slipcover. Some are specifically designed to protect furniture from pets and messes from frequent use. Read the care instructions to make sure your choice will stand up to typical use and wear. Can you get matching pieces with slipcovers?